Marjorie F. (Norton) DeTeso passed away at the Lahey Clinic, Thursday, April 11th. The beloved wife of Daniel R. DeTeso, she was eighty seven years of age. The loving daughter of the late Mary Norton, Marjorie was born , raised and educated in Woburn, graduating with the Class of 1949 as Salutatorian. Following high school, Marjorie continued working at the Woburn National Bank, where she began her career in banking at sixteen years of age. She remained there for over twenty years. In 1959 she married her beloved husband Dan and they brought their son into the world of whom they were so proud. They nestled into the Central Square area of the city where they have remained. 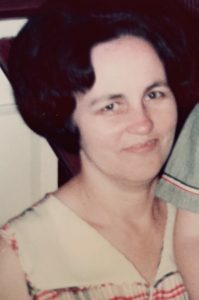 After Damon began school Marjorie returned to the working world as a Secretary at St. Charles Parish, a position she held for over twenty years. Family was first throughout her lifetime. A very quiet and private woman Marjorie remained very dear to her childhood friend Helen, all throughout her life time. Marjorie dedicated her lifetime to her family and her faith, cherishing every moment. Marjorie is lovingly survived by her dear husband of fifty nine years Daniel R. DeTeso, her cherished son Dr. Damon J. DeTeso, his wife Jennifer of Saratoga Springs, NY. , and loving grandmother “Gammy” of Owen and Vivien DeTeso. My thoughts and prayers go out to Danny, Damon, and his family upon the loss of Margie. My Mom loved them like our own family. Margie was a kind, gentle lady who always shared her sweet smile. Her devotion to her beloved husband Danny and her treasured son Damon was an inspiration. God has surely welcomed her into Heaven with open arms. this earth and Margie was one of them. I haven’t seen Margie or Danny for a long time, but I love them both. They are just such special people. There is such an empty space in my heart but I know that Margie is at peace because she has touched this world with her love. I will keep Danny and Damon and his family in my prayers along with Margie. What a truly wonderful Family. Please accept our deepest condolences. You are in our thoughts and prayers. As a student at St Charles, I had a wonderful connection with Mrs DeTeso. I would love to visit her in her office. She always made me feel so special. I have often thought about her and our little chats. What a truly wonderful woman she was. I am so sorry for you loss. I will always remember her with such fondness.